Each commentary volume includes a substantial introduction, followed by the King James Version translation, a fresh “New Rendition” from the original Greek in a parallel column, and detailed notes drawing on both mainstream modern biblical scholarship and uniquely Latter-day Saint sources. Smith’s newly published commentary on Mark’s gospel weighs in at nearly 1,000 pages, with extensive explanations covering the entire text. Although it cannot be dismissed as a work of merely feminist scholarship, one of its welcome contributions is to provide a woman’s perspective on Mark and, thereby, on Jesus. “Mark,” Smith observes, “had introduced the woman by calling her a woman with ‘an issue of blood.’” She had no name, no relationships, no geographical location; her disease is the sole marker of her identity. But in this verse (5:34), Jesus gives her a new identity marker: she is his daughter. I cannot begin to summarize or even outline the richness of Smith’s discussion of this episode, which includes fascinating parallels and contrasts with Zechariah 8:23, 1 Samuel 1, Jeremiah 8 and, intriguingly, Genesis 3. And space permits me only to hint at the intriguing suggestions that Smith offers about the women witnesses of Christ’s Resurrection and the possible role of women in the transmission of Mark’s gospel itself. Read the book! Or its e-book! For an earlier example of Smith’s approach to the story of the bleeding woman that is accessible at no charge online, see her article “A Redemptive Reading of Mark 5:25-34,” in “Interpreter: A Journal of Latter-day Saint Faith and Scholarship” 14 (2015): 95-105; online at mormoninterpreter.com/a-redemptive-reading-of-mark-525-34/. 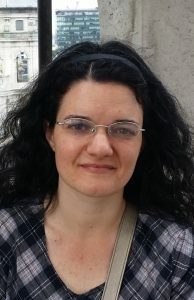 This entry was posted in Julie M. Smith, Mark on February 8, 2019 by Administrator. Excerpted from The Testimony of Luke, by S. Kent Brown, pp. 221-36, a volume of the BYU New Testament Commentary. 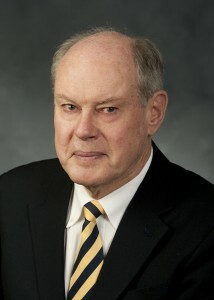 The commentary can be purchased at BYU Studies. 1 And Jesus, full of the Holy Ghost, turned back from the Jordan, and was led in the wilderness by the spirit 2 for forty days to be tempted by the devil. And he ate nothing in those days, and when they were ended, he was hungry. This entry was posted in Luke, Luke 4, S. Kent Brown on January 30, 2019 by Administrator. Our conference “In the Beginning Were the Words: A Closer Look at Key New Testament Terms” is January 26 at BYU. Information here. Julie Smith’s commentary on Mark has finally arrived! It is for purchase at BYU Studies. Our commentaries contains our “New Rendition,” which is a new version of the New Testament text. We’re offering it free as ebooks via Kindle and Deseret Bookshelf. So far we have Mark, Luke, First Corinthians, and Revelation. Here are the links. Readings from the New Testament Commentary to accompany LDS Come, Follow Me, for Individuals and Families are listed by our publisher, BYU Studies. Have a look! Julie Smith’s interview about her Mark book is available from Interpreter Radio. Follow the link here. This entry was posted in Julie M. Smith, Mark on January 19, 2019 by Administrator. We are happy to announce that New Renditions of the New Testament books Mark, Luke, First Corinthians, and Revelation are now available as free ebooks, as Kindle books at Amazon and on the Deseret Bookshelf e-reader. These New Renditions come from the BYU New Testament Commentary volumes. They are modern English versions translated by Latter-day Saint scholars based on the most reliable Greek texts while taking into account the Joseph Smith Translation and the King James Version. They aim to be as close as possible to the way they were composed by their original writers. These renditions provide a new reading experience for people of all ages who want to embrace each of these New Testament writings. The New Renditions of the books of Epistle to the Ephesians and the Epistle to the Hebrews are expected to be available later in January 2019. This entry was posted in Uncategorized on January 16, 2019 by Administrator. Excerpted from The Testimony of Luke, by S. Kent Brown. This excerpt features the verse-by-verse commentary of Luke 3:16, 17. See the book for much additional analysis and the new rendition. John answered, saying unto them all, I indeed baptize you with water; but one mightier than I cometh, the latchet of whose shoes I am not worthy to unloose: he shall baptize you with the Holy Ghost and with fire: Whose fan is in his hand, and he will throughly purge his floor, and will gather the wheat into his garner; but the chaff he will burn with fire unquenchable. 3:16 John answered: Here John’s response about himself points first to his ministering acts and then to the one who “cometh,” the same order as in John 1:26–27. 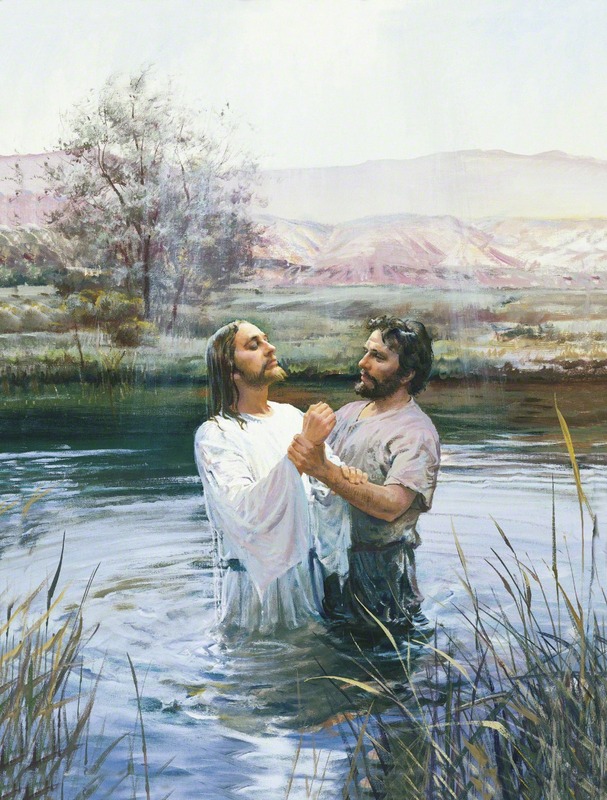 According to John’s Gospel, the Baptist answers the queries of authorities by saying that he is not the Christ nor Elijah nor “that prophet” (John 1:20–21). I indeed baptize you with water: Here Luke turns to words of John that he shares with Matthew and Mark, though Matthew adds “unto repentance,” a phrase missing in the records of Mark and Luke (see Matt. 3:11; Mark 1:8). Perhaps Luke means to place emphasis on the difference between the water baptism that the Baptist offers and the Messiah’s baptism “with the Holy Ghost and with fire” that not only comes to one who repents but also purges the person’s sins (see 2 Ne. 31:13–14; 3 Ne. 9:20; 12:2). The phrase “with water” or “in water” represents a dative of instrument. one mightier: As do Mark and Matthew, Luke acknowledges that John introduces Jesus to his hearers, though Jesus himself does not appear in the story until 3:21. The expression does not seem to preserve a Christian answer to persons who venerate the Baptist as the Messiah. cometh: The verb (Greek erchomai), though common, seems to allude to that of LXX Malachi 3:1 (“behold, he comes”), which points to the “coming one” who brings both judgment and purifying powers (see 13:35; Acts 13:25; Ps. 118:26; Zech. 9:9; Mal. 3:2–3; Mosiah 3:9; D&C 133:2, 10, 17, 19, 66; JST Matt. 3:38–40). Because the verb appears strategically here, at the beginning of Luke’s narrative, and near its end (see 19:38; 20:16), it forms a possible inclusio that unifies the Gospel account. the latchet: The Greek word (himas) means “thong” or “strap.” The act of unbinding such a strap is left to slaves. The word draws subtle attention to the connection of Jesus’ sandals and the highway to be built for the coming king. baptize you with the Holy Ghost: In another allusion to the creation, that of the spirit of God moving “upon the face of the waters” (Gen. 1:2), John ties the actions of Jesus to those of Jehovah in the beginning. In his words to Nicodemus, Jesus speaks of being “born of . . . the Spirit,” an event equivalent to being baptized “with the Holy Ghost” (John 3:5). with fire: The allusion is both to judgment or punishment and to purifying, aspects that stand together in Malachi’s prophecy about the one who comes “to his temple” (see Mal. 3:1–3). These two functions are also joined in modern scripture (see 1 Ne. 22:17; 2 Ne. 30:10). Moreover, fire is the agent that purges sins: “then cometh a remission of your sins by fire and by the Holy Ghost” (2 Ne. 31:17; see also 2 Ne. 31:13). Further, the clear tie between fire and offering sacrifices on a burning altar is not to be missed. Finally, the fire stands as an agent of testimony, along with the Holy Ghost. In this sense, the promise of fire is fulfilled in the burning hearts of the two disciples on the way to Emmaus, thus forming an inclusio that arcs across Luke’s narrative and brings a unity to all. 3:17 he will throughly purge his floor: Threshing floors in ancient Israel consist of walled areas where the soil is cleared off to expose the smooth limestone crust of the earth. The expression means to “clean thoroughly” and carries the senses (1) that the Messiah will clean the soil from the floor where the grains of wheat will fall to the earth after being threshed and separated from the chaff, and (2) that, because the threshing floor is completely clean, he will be able to retrieve every grain. the wheat . . . the chaff: A subtle affirmation stands within these terms that the good and the bad grow up together, often inseparable until the judgment (see Matt. 13:24–43). the chaff he will burn with fire unquenchable: John returns to the image of fire as judgment. Blass and Debrunner, Greek Grammar, §195. Bauckham, Jesus and the Eyewitnesses, 124–47, 366–67, 388, 390–93. BAGD, 376; Marshall, Luke, 146; Fitzmyer, Luke, 1:473. This entry was posted in Luke, S. Kent Brown on January 4, 2019 by Administrator. The Gospel of Mark: What does the Gospel indicate about its author? Excerpted from The Gospel according to Mark, by Julie M. Smith. The Gospel of Mark is formally anonymous, meaning that the name of the author does not occur within the text (contrast Rev. 1:1). The writer may not have felt any need to include his or her name, being well known to the community or may have omitted a name for rhetorical reasons, perhaps to focus the text on Jesus Christ instead. The author does not claim to be a follower of Jesus, an eyewitness to his ministry, or to have any specific personal connection to the people in the Gospel. Nothing indicates how the author learned the stories that are in the Gospel. Apparently, the author did not think that the reader needed to know his or her name or connection to Jesus’ life. This has not stopped scholars from trying to figure out as much as possible about who wrote the Gospel. The first clue is the title. 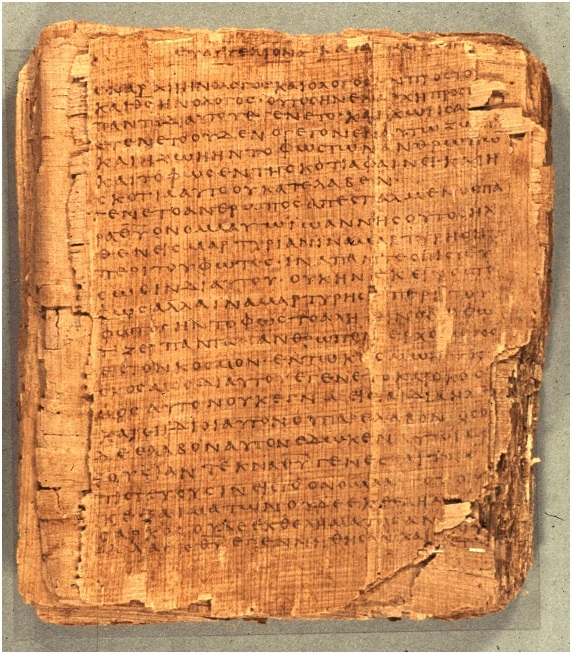 The Gospel was likely originally without title since “in ancient book production and publication, the title belonged more to the stage of reception than to that of production.” Perhaps the Gospels were initially without titles because the titles would have been obvious to all readers, because the authors hoped to avoid persecution from having their names associated with Christian writings, or because they did not consider the text their unique creation but rather a communal project. It may have been that a title was only added after other Gospels were written and it became necessary to distinguish them. Or a title may not have been necessary until the Gospel circulated beyond its original location. The title of Mark’s Gospel is very old, but it is not attached to all ancient manuscripts. It was most likely added in the late first century or early second century, although there were some copies even in the fourth century that did not have a title. 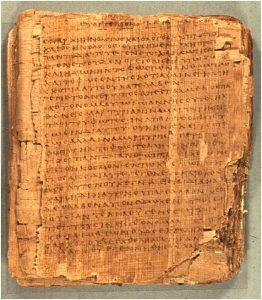 The oldest manuscript of the second Gospel does not have a title, although many other manuscripts from that era do contain titles. The title is likely to date from before the mid-second century because by then Gospels were normally attributed to apostles to increase their authority and prestige. Presumably, had a title-less Gospel of Mark been circulating and someone had decided to give it a title at that point, it would have been given the name of an apostle. Because the title appears at the beginning, the end, the side, or both the beginning and the end, depending on the manuscript, it seems that the title was not there originally but was added later and thus placed in a variety of locations. The fact that the only author associated with this text is Mark is an indication of the accuracy of the attribution; by contrast, Galen, a second-century physician, had an untitled work that was later given more than one title, which is precisely what one would expect to happen if many different hands were generating a title for a book. There is a curious situation regarding the title of this Gospel in the Joseph Smith Translation: while Latter-day Saint Bibles indicate in the footnotes that the JST titles the book “The Testimony of St. Mark,” this is apparently an error; the JST does change the titles of Matthew and John from “The Gospel of ” to “The Testimony of,” but apparently the titles of Mark and Luke were not changed. Some Latter-day Saint scholars conclude that the title change, limited to Matthew and John, reflects their apostolic status. Latinisms. Mark’s use of Latin terms suggests that (some of) the audience was more familiar with Latin than Greek, especially since there are two occasions when Greek words are explained in Latin terms. Aramaic Words and Phrases. Mark’s Gospel contains a surprisingly high number of Aramaic terms for a text of its length. In all cases, these are translated into Greek, leading to the conclusion that the author, but not (all of ) the audience, knew Aramaic. Geographical Descriptions. 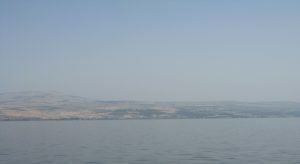 Some scholars find errors in Mark’s descriptions of geography, which might indicate a lack of familiarity with Palestine. (Other scholars point out that ancient people would not have known their own geography nearly as well as those who have access to maps.) On the other hand, it is likely that Mark is more concerned with theology than geography and therefore adapts the physical setting to fit the rhetorical needs. Understanding of Judaism. Mark explains some Jewish customs. Traditionally, it was assumed that this was because Mark (but not the audience) was familiar with them. Alternatively, some scholars feel that these descriptions show a limited understanding of Judaism, perhaps implying that Mark was not Jewish, but this is disputed, especially since Mark contains many biblical allusions. It is also possible that these descriptions are provided for dramatic effect and not because they provide new information to the audience. System of Timekeeping. In 6:48 and 13:35, Mark uses the Roman system of four watches per night, instead of the Jewish reckoning of three watches per night, to delineate time, perhaps serving as further evidence for a Roman setting of the Gospel. But it is also possible that Mark used Roman time either in order to make the text understandable to gentile audience members, or because he or she was not being precise, or perhaps because Jews used the Roman system as well. Writing Style. Mark’s Gospel is written in very poor Greek. For example, in 16:6, the word “behold” is in the singular form despite the fact that more than one person is being addressed. It can be difficult to evaluate what some of this evidence implies about Mark, and scholars draw opposite conclusions from it. Perhaps it is safe to say that the data suggests that the author knew (at least some) Aramaic, knew Greek (but wrote it poorly), was likely to have been a Jew, and is associated with Rome. It is theoretically possible that the author of Mark was female, but given the extremely low rates of female literacy in the ancient world, this is unlikely. Older scholarship often associated the author of the Gospel with the young man who flees when Jesus is arrested in 14:51, but this is unlikely. The association probably stemmed from a desire to explain the function of the young man in the narrative, but there are now better readings of this enigmatic character. See the Notes on that verse for more information. For a general discussion of Gospel authorship from a Latter-day Saint perspective, see Frank F. Judd Jr., “Who Really Wrote the Gospels? A Study of Traditional Authorship,” in How the New Testament Came To Be: The Thirty-fifth Annual Sidney B. Sperry Symposium, ed. Kent P. Jackson and Frank F. Judd Jr. (Provo, Utah: Religious Studies Center; Salt Lake City: Deseret Book, 2006), 129–30. Barney, “Joseph Smith Translation,” 88. David E. Garland, A Theology of Mark’s Gospel: Good News about Jesus the Messiah, the Son of God, ed. Andreas J. Köstenberger (Grand Rapids, Mich.: Zondervan, 2015), 50. Latinisms in Mark’s Gospel include legion (5:9, 15), speculator (KJV: “executioner”; 6:27), denarius (KJV: “penny”; 6:37; 12:15; 14:5), quadrans (KJV: “mite”; 12:42), flagellare (KJV: “scourge”; 15:15), praetorium (15:16), and centurion (15:39, 44, 45). See also Stein, Mark, 11–12. “Two mites, which make a farthing” (12:42); “the hall, called Praetorium” (15:16). “Boanerges, which is, The sons of thunder” (3:17), “Talitha cumi; which is, being interpreted, Damsel, I say unto thee, arise” (5:41), “Corban, that is to say, a gift” (7:11), “Ephphatha, that is, Be opened” (7:34), “hell, into the fire that never shall be quenched” (9:43), “Bartimaeus, the son of Timaeus” (10:46), “Abba, Father” (14:36), “Golgotha, which is, being interpreted, The place of a skull” (15:22), “Eloi, Eloi, lama sabachthani? which is, being interpreted, My God, my God, why hast thou forsaken me?” (15:34). In 5:1, the earliest texts of the Gospel have the pigs running 35 miles (!) to “Gerasa.” Later texts read “Gadara,” but that area has no cliffs (Stein, Mark, 250). 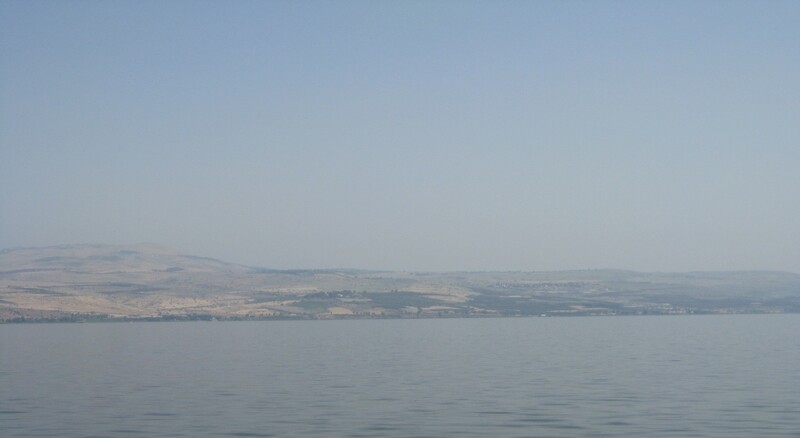 In 7:31, the journey from Tyre to the Sea of Galilee by way of Sidon is an unnecessary detour (Stein, Mark, 357). In 11:1, a similar “detour” is described (Stein, Mark, 503). For example, washing customs of Pharisees (7:3), explanation of the Passover (14:12), and preparation for the Sabbath (15:42). Mark 15:42 can be read to suggest that Mark did not understand that the Sabbath began at sundown, therefore preparation for the Sabbath would not have occurred during the evening as that would have already been considered the Sabbath; Luke 23:56 may be a commentary on this (see Marcus, Mark 1–8, 20). Mark 1:2 (which ascribes quotations from Isaiah and Malachi to Isaiah only) and 2:26 (which names Abiathar as the high priest when the high priest was Ahimelech [see 1 Sam. 21]) may show a lack of familiarity with Jewish scripture (although there are other explanations for these “mistakes”; see the Notes on each verse). For example, 7:3–4 (washing customs of the Pharisees) is widely regarded to be erroneous, but some disagree with this assessment. Marcus, Mark 1–8, 20. For example, the description of Judas as one of the Twelve in 14:10 does not provide the audience with new information but rather serves to emphasize Judas’ treachery. Similarly, the description of Jewish custom in 7:3–4 may not be new information to the audience but rather serve to emphasize the reliance on the tradition on the elders and the absurdity of washing dining couches. To the extent that the KJV translation sounds refined and elegant to modern ears, it does not represent Mark’s writing style. This entry was posted in Julie M. Smith, Mark on January 4, 2019 by Administrator. 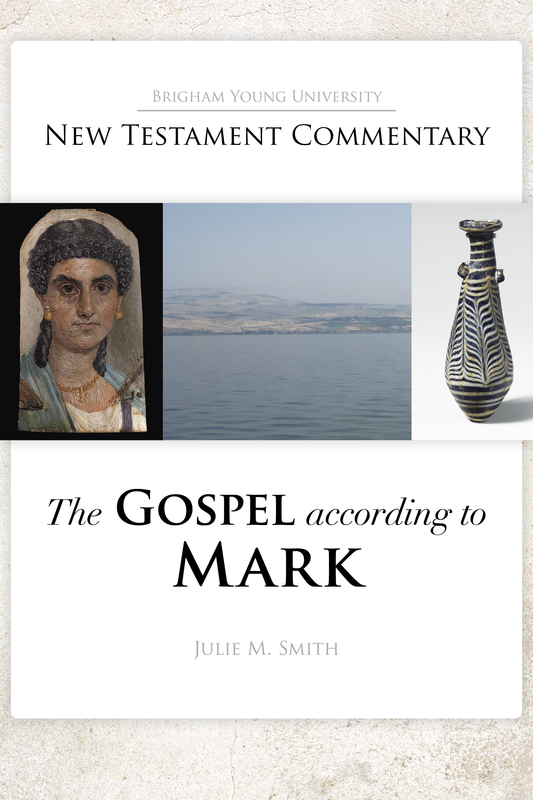 On December 9, Julie Smith was interviewed regarding her new publication, The Gospel according to Mark. The book will be available from BYU Studies in early January 2019. The interview starts at 15:40 and continues to 46:15. Thanks to Terry Hutchinson, Dan Peterson, John Gee, and Kevin Christiansen and to Interpreter Radio for this interview! This entry was posted in Julie M. Smith, Mark on December 20, 2018 by Administrator. Excerpted from The Testimony of Luke, New Testament Commentary, by S. Kent Brown, pages 1077, 1081, 316, 338-39. Let’s look in depth at the text of Luke 23:34: “Then said Jesus, Father, forgive them; for they know not what they do” (KJV). 23:34 Then said Jesus: The earliest text (75) and many other manuscripts omit the first part of this verse, leaving only the portion that begins with “And they parted his raiment.” Such evidence seemingly points away from the following saying as originally belonging to Luke’s record. But the saying fits Luke’s language. And Stephen’s prayer in Acts 7:60 seems to draw its inspiration from the words of Jesus reported here, thus buttressing its genuineness as a saying of Jesus, whether or not it originally stands in Luke’s record. Significantly, the imperfect tense of the verb implies that Jesus repeats his request again and again, pleading with his Father to forgive these unknowing men. Incidentally, the Joseph Smith Translation preserves these words, with a clarifying insertion. Father, forgive them: The placement of Jesus’ words directly after writing about the crucifixion (see 23:33) may signal that Luke is stressing, first, Jesus’ control of the whole situation, though his enemies do not know it, and second, Jesus’ control of his pain-filled body. Jesus addresses God as “Father” previously. Here he plainly makes intercession for others. This entry was posted in Luke on December 7, 2018 by Administrator. The BYU New Testament Commentary committee announces that on Saturday, January 26, 2019, they will present a conference at the Gordon B. Hinckley Alumni Center at BYU in Provo, Utah. The conference is free and open to the public and will be held from 9 am until 4 pm. No registration is required. A video will be made of the presentations and posted on this website. Parking is available in the lot across the street to the east. 9:00 Welcome by Virginia Pearce Cowley, conducting the conference. 9:15 Eric D. Huntsman, Disciple — mathētēs (μαθητής) Mathētēs is a word that John appeals to much more often than do the Synoptic Gospels. In particular, I will be stressing how John uses it for a much wider group than the Twelve, and how the different characters represent different walks of faith and different types of discipleship. 9:45 Julie M. Smith, Way — hodos (ὁδός) One of the earliest designations for the community of those who followed Jesus was “The Way.” The Greek word translated as “way,” hodos, exhibits a rich, multi-layered presence in the New Testament. In this presentation, we’ll examine the literal and figurative interplay of this word in order to gain insight into Jesus’ ministry and message. 10:15 John W. Welch, Blessed, Happy — makarios (μακάριος) Building on the treatment of the adored Beatitudes in chapter 3 of my book titled The Sermon on the Mount in the Light of the Temple (Ashgate, 2009), I shall examine how this term played a perhaps unsung but indispensable role in the Gospel of John, the book of Acts, Paul’s epistles to the Romans, Corinthians, and Galatians, as well as in Revelation and elsewhere. 11:00 Brent Schmidt, Grace — charis (χάρις) My earlier study of the term grace, published under the title Relational Grace, demonstrated that the original field of meaning was distorted as soon as it fell into the hands of the Christian fathers of the third and fourth centuries AD. Rather than describing a reciprocal relationship between God and believers that was undergirded by covenants, it became “cheap grace” that only depended on a passive, neo-Platonic and mysterious belief. 11:30 Richard D. Draper, Love — agapē (ἀγάπη) Of the words discussed today, the term agapē may be the most important. On it, Jesus affirmed, “hang all the law and the prophets” (Matthew 22:40). In his turn, Paul treated this intriguing term in the moving, beloved hymn to Charity (1 Corinthians 13). We shall probe these sources and more. 1:00 John Gee, Scribe — grammateus (γραμμματεύς) Scribes were one of the major groups opposing Jesus during his mortal ministry. Unlike the Pharisees, however, the dogmas that they held are not clearly defined. We will explore who the scribes were and why they hated Jesus. 1:30 Michael D. Rhodes, Mystery — mystērion (μυστήριον) A word that is found 28 times in the New Testament, the overall general sense is “secret knowledge revealed by God.” The term mystērion occurs in a single significant setting in the synoptic Gospels when Christ explains to his disciples why he taught in parables. The remaining 25 occurrences are in the book of Revelation and the writings of Paul. I will examine the various nuanced meanings found in all 28 cases. 2:00 Brent Schmidt, Faith — pistis (πίστις) The earliest occurrences of the word “faith” embrace meanings such as knowledge, faithfulness, trust, and loyalty to covenants, all concepts that involve action on the part of the possessor. But in the third century AD, all this changed. From that point on, faith was seen as an inner, passive acceptance of whatever the early church taught termed “the Rule of Faith,” which later became the authoritative and solitary sola fide. This topic will be presented in detail in a forthcoming publication. 2:45 Kent Brown, Inheritance: Who Owns All That Land? — klēronomia (κληρονομία) One of the most important terms in scripture that dates from Abraham’s era, the word “inheritance” and associated terms underwent an important change in New Testament times, moving from a transfer of real estate and other property to the reception of a spiritual home in heaven. 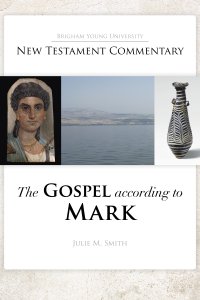 3:15 Panel discussion on Mark’s Gospel and Julie M. Smith’s new commentary. Panelists are today’s presenters joined by Tom Roberts. This entry was posted in Brent J. Schmidt, Conferences, Eric D. Huntsman, Grace, John W. Welch, Julie M. Smith, Michael D. Rhodes, Richard D. Draper, S. Kent Brown on November 9, 2018 by Administrator. S. Kent Brown was recently interviewed by Kurt Manwaring about his publications on the period between the Old and New Testaments. This entry was posted in Uncategorized on February 8, 2018 by Administrator.